I made this little piece as a break between two halves of a longer, more complicated sewing project. 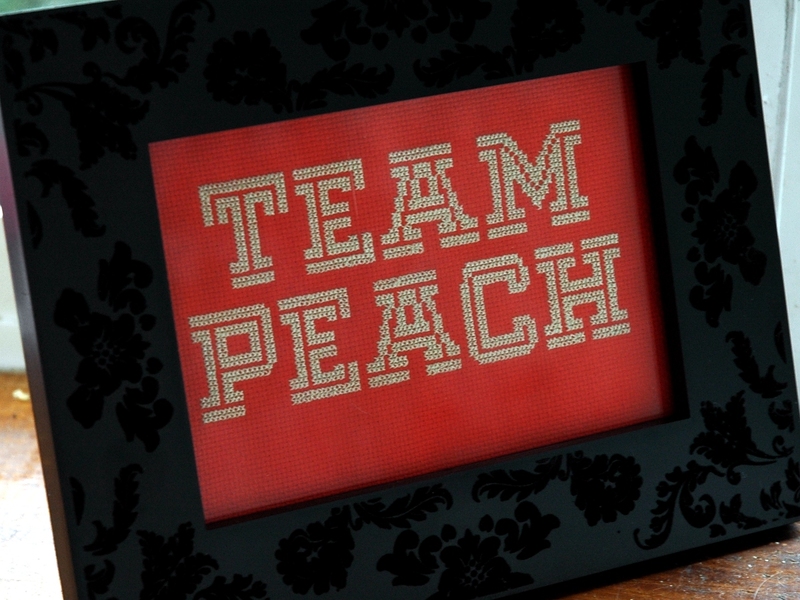 Team Peach is what John & I call our household – a portmanteau of our surnames. It started as a joke but has become a less jokey, handy shortcut for referring to our collective. We do not yet have t-shirts but that’s where the design idea came from. We do though have a theme song.